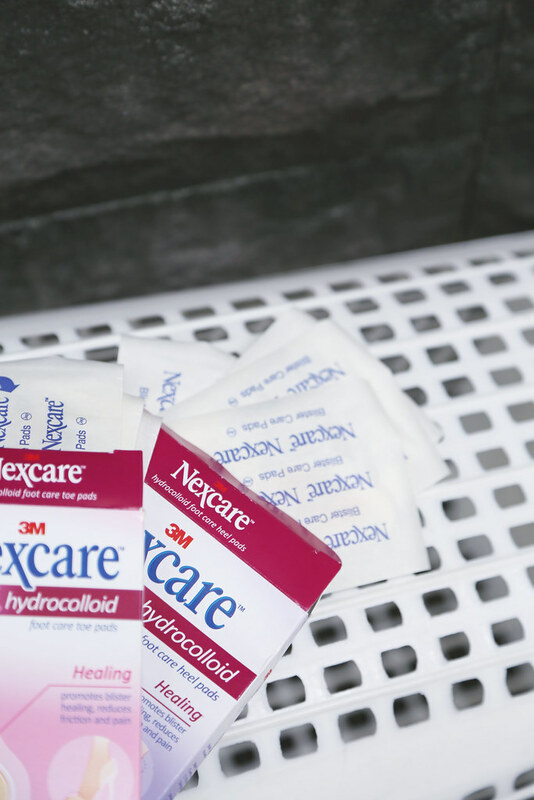 3M Nexcare™: Bye-Bye Blisters. - . I can't believe January has passed and CNY holidays are already over. January has been a busy month for me. I've just finished a four days long event somewhere mid-Jan. Most of us went home every night with painful feet blisters due to the friction caused by long hours of walking in uncomfortable shoes, forming blisters which leaves ugly scars behind. Nobody wants ugly feet. I'm sure you want to look and feel your best for the upcoming Valentine’s Day and every other day as well. Spending on bandages, and a plethora of products, just to be able to walk in our new heels is the last thing we want to do. Prevent blisters before they happen. But how? So generous of them to send me some their popular products. 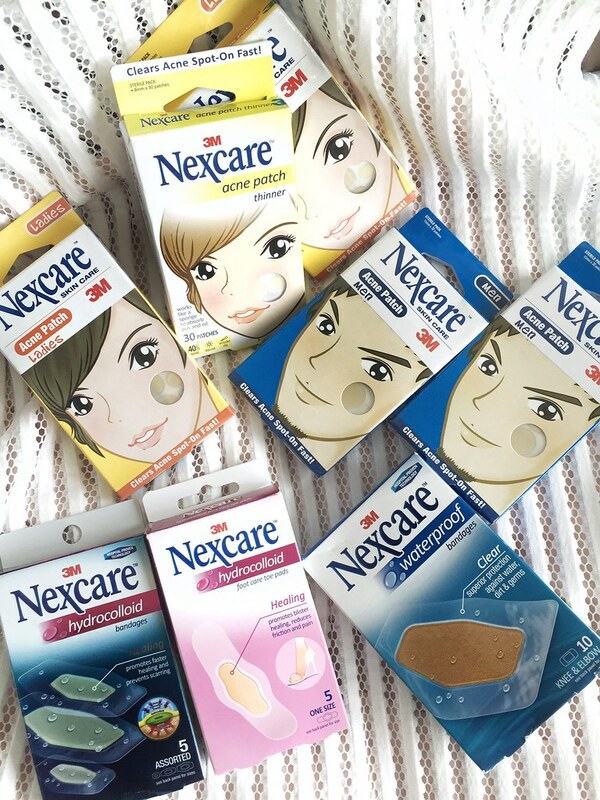 They are Nexcare™ Acne Patch(I'm a big fan of their acne patch), Nexcare™ Foot Care Pads, Nexcare™ Non-Exposure Tapes & Nexcare™ Wound Care Solutions (Nexcare™ Hydrocolloid Bandages and Nexcare™ Waterproof Bandage Knee & Elbow). Super thankful for Nexcare™ Foot Care Pads because I’m now blister free! 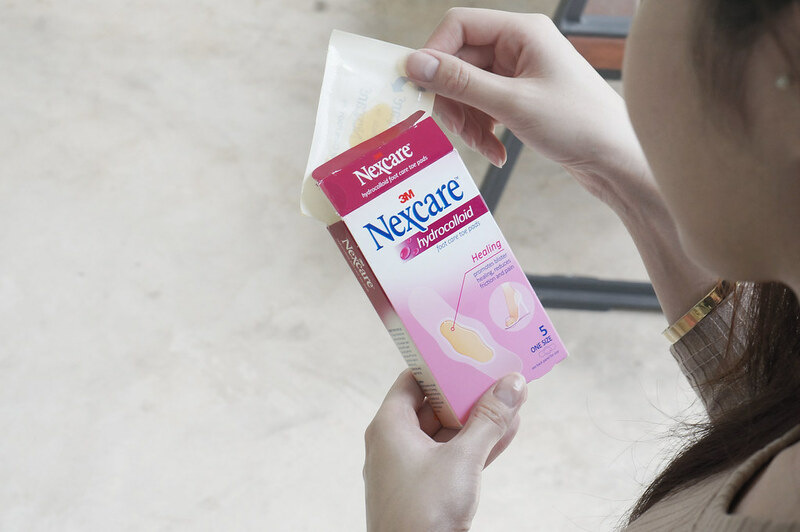 You have no idea how comfortable it is to walk in heels with the help of Nexcare™ Foot Care Pads. 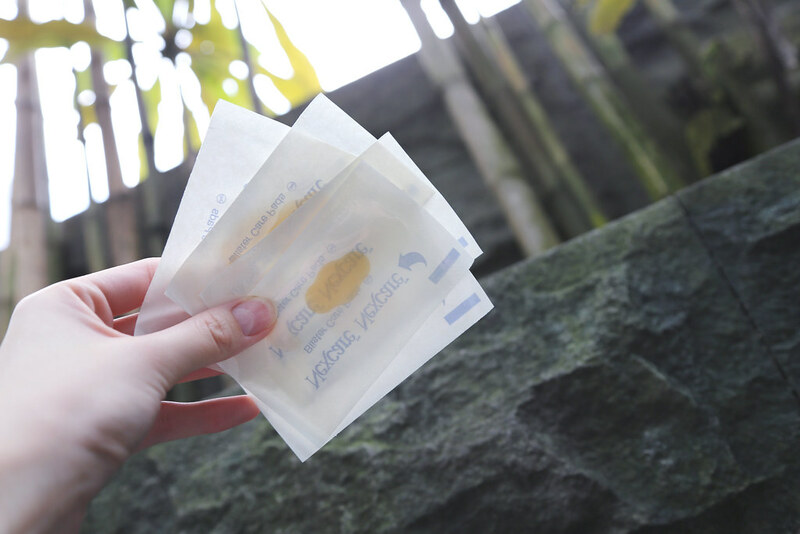 Before knowing about this, I used to invest in normal plasters but they tend to fall out half way while I’m walking. After my boyfriend introduced me to this life saver, I realised I have been using the wrong ones all the while. And yes, ever since then I have been using them, it was even before 3M Nexcare™ send me their products! It doesn’t fall off like how normal plasters do and the amazing thing about this? They can be removed easily without leaving your toes or ankles feeling sticky! These cute one are for your toes. And these are for your ankles. these necessities in your best visuals from head to toes! The products are available at most Guardian, Watsons, Unity and other leading stores.